Vitamin B12 for Energy and Vitamin D3 – the Sunshine Vitamin are a couple of my favorite. I was so excited when I found that I can not only buy these vitamins for myself but I also can offer them to you. I have been purchasing some of these Quality Vitamins from my Chiropractor and a high quality Nutritionalist who both told me that I would not be able to purchase these vitamins directly as I needed to be a qualified nutritionalist or health care provider. The ratings are VERY High. As you know, I like to read and present reviews because this has helped me to find quality products. Ask your Doctor how much Vitamin D3 you need. Many more physicians are recommending higher amounts of vitamin D3 – “the Sunshine Vitamin” as one doctor referred to it. Even living in Florida, my doctor is still recommending that I up my dosage to raise my Vitamin D level. As you know, I really love the Liquid Vitamins as I can tell they absorb much better in my system. I searched for years to find a great B Complex and B12 Vitamin and found the liquid and powder forms made me feel better and gave me great blood test results. Now, I have not taken the liquid Vitamin D3 yet because I stocked up on them from my Chiropractor, but I will definitely let you know what I think of the Liquid Vitamin D3 and the which brand of the Vitamin B12 or Vitamin B Complex I like the best. I get very excited when I find the “BEST Vitamins” because I know how they have helped me sooooooo very much. I also love how easy it is to search for the products on this site. The site is not fancy but it is simple. PureFormulas.com-Quality Health Supplements-Thorne, Metagenics, Biotics and More at Competitive Prices and Free Shipping! Click here! I Absolutely Love my Sonicare Toothbrush. I Have Exceedingly Healthy Gums. Awesome Speech Recognition Software to help you Blog, Web Sites and Write, Write, Write by Speaking. While observing Communion Today and thanking Jesus for giving of His Body and His Blood for My Sins, for the first time, during communion, I started thinking about how they tried to also Humilate Jesus. This made me think about people on the internet humiliating each other “Anonymously”. This humiliation sometimes leads toward really hurt feelings and sometimes even suicide. My mom used to always tell me, feel sad for the person who is being cruel and mean to you because you don’t know what terrible thing they have been through. This helps me. Take your hurt feeling to God. Feel His Great Big Arms all around you with a Love greater than anything on this earth. I have been reading and writing about Seasonal Affective Disorder recently and I see peoples unkind and hurtful comments regarding SAD. It is such a misunderstood illness. While people are suffering from Seasonal Affective Disorder, they are far more sensitive to hurtful words and actions. Jesus endured unimaginable suffering, humilation and pain, just for me and just for you. When praying or thanking God for giving us His only Son, personalize it because you know what, He would have gone through ALL of this JUST FOR YOU and YOU ALONE. Please be kind to one another, in person and on the internet. Pretend you are right there with them when you are making comments. I see the internet as a way to help people, not hurt them. Think about how you would feel. Hope and Help for Seasonal Affective Disorder – SAD Disorder .Org – ONLY Medically Approved Full Spectrum Light on the Market. Such a misunderstood health issue. People don’t understand or worse yet, don’t even believe there is such a medical issue as Seasonal Affective Disorder – SAD Disorder. I have suffered with this for many years and I hope my tips will help you deal with this awful condition otherwise known by some as Seasonal Affective Depression, Affective Depression, or a really bad case of Winter Blues. The SAD Light Therapy Box I bought was over $200.00 and didn’t help me much. I did notice some help with my smaller light for SAD but not enough. I found out later that I have an illness that makes my SAD even worse so that could be the reason it didn’t help much. It could possibly have saved me so much Despair of dealing with everything that comes along with Seasonal Affective Disorder – SAD Disorder. I am so impressed with the many Video Testimonials from people that were helped with this SAD Light Therapy Box that got help with their Seasonal Depression and all the Medical Doctors that recommend this particular Light for SAD, Seasonal Affective Depression, as some will call it. After all, it is usually recommended that you do your SAD Light Therapy Daily. I started off with 15 minutes per day, and worked my way up to 1 hour per day. I have heard some recommend 2 Hours per day. I was so extremely weak that I did my SAD Light Therapy in Bed in Morning Laying Down because I was just too weak to get up and sit by the Light for 1 Hour. Learning the Web Site Business is new for me so I am a bit slow with it but I LOVE sharing Tips and Ideas of what helped me with different issues and problems. I sincerely hope that this SAD Light Therapy Box helps you. Please, Please send me your reviews on details of How this Light Box helped you or not. Hopefully you will get wonderful results. The way I have always been looking at my Seasonal Affective Disorder is that if I even only get a certain percentage better, I am happy for the help. I try to go in any new therapy for Seasonal Affective Disorder with a positive attitude that I will get help but not with unrealistic expectations because in the past I was devastated when I expected more than I received. This SAD Light Therapy looks very Hopeful and Helpful to me. I am not a medical professional. I am sharing information on My Favorite Products and Tips that helped me or new innovative products that may help you too. Please see your doctor for advice and to find out if your are suffering from Seasonal Affective Disorder – SAD Disorder. I would recommend finding a doctor who is receptive and understanding about Seasonal Affective Depression because not all doctors are. I sure found that out. That is a whole subject in itself how so many people just don’t understand how devastating Seasonal Affective Disorder – SAD Disorder is in our lives. I have a Healthy Eating Plan that helped me to LOSE 20 Pounds, even in the dreaded Winter months. A better plan than eating all the Carbohydrates that we crave when suffering from SAD Disorder. Yummy Smoothies, Salad Recipes etc…. too. I woke up this morning and felt inspired to write about this. I know it has been said many times and Thanks to Everyone who has been speaking up for the past decade or more, and letting it be known that we want to Keep Christ and Christmas in Christmas. Some of the stores are finally listening to us. Pretty much my whole life I’ve heard people encouraging that we keep Christ in Christmas, but we also need to keep Christmas and Christmas. This has been a struggle for more than a decade. Remember how people would write Xmas, oh how that bothered me. Well now, people are saying “Happy Holidays” and taking even CHRISTMAS out of CHRISTMAS. Please respond back with a Smile and a Kind “Merry Christmas”. I’ll never forget the day (around 15 years ago) that for my daughter responded back to the clerk in the store “happy holidays”. This is what made me really aware of slowly but surely chipping away at Christmas being Christ’s birthday. Why in the world with people be picking up Christmas. We as Christians are celebrating Christ’s birthday. Ever since then, I have made a point, when the clerk says “happy holidays”, I say “Merry Christmas”. When they say “Merry Christmas” to me, I make a point to thank them for saying “Merry Christmas”. While watching Fox news this morning I just heard, that many of the stores I enjoy shopping at, such as Kohls, Best Buy, Walgreens, etc…are putting Christmas back in Christmas. I just wanted say thank you to all the people who have stayed tenacious and shoot to our core beliefs for standing up for our beliefs. We do need to spread the word we do need to teach her kids and we do need to keep Christ in Christmas and Christmas in Christmas. While Christmas Shopping, I noticed that the check out clerk at Kohls wished me “Happy Holidays” and 3 Clerks at Macys Wished me “Merry Christmas.” I don’t do a ton of Shopping at Christmas time so this is not a good representation, but I thought it a little strange that Kohls announced they are going to be saying “Merry Christmas.” and then didn’t, but then again, it is only 1 Clerk too. Send me your observations. How to Stop Esophagus Spasms Completely and Immediately. My mom discovered this EASY Tip to get Esophagus Spasm Relief Naturally and Quickly. She asked me to share this with you so you can STOP Esophageal Spasms or help someone else with this amazing tip. They will thank you later. Many people wrote to me saying how incredibly grateful they are that my mom told them about this. Keep this Message. This Mug holds 16 ounces so you will have it handy if an attack comes on quickly. Cold or Warm water works best to Stop Esophageal Spasm, not hot. If you are Passionate about Spreading the Word about this very painful condition, this Mug will definitely get people’s attention. I created 7 Text Box Templates for You to Type in YOUR TEXT or fun Coffee Mugs with Names on Them. Personalized Travel Mugs with No Minimum Order or choose the smaller Ceramic Custom Printed Mugs. You will love all the different gifts I’ve created for Personalized Sports Gifts for Coaches, Players, Teams and Personalized Photo Gifts with Your Text and so much more. I am working hard to build my online gifts store business. Creating New Designs nearly daily. 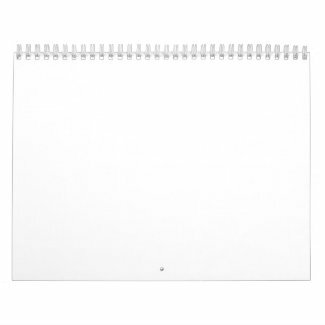 I design the gifts and world renown Zazzle Prints and Ships your gifts. BBB Rating of A+ 100% Guaranteed, Less than 1% Return Rate. This is not a Cure for Esophageal Spasms but Get Relief (at the time of the Esophagus Spasms. You will be so Glad you read this article. Please, Please, Please, Even if you don’t suffer from Esophagus Spasm, please remember this tip to help your friends and family. My mom has helped so many people get immediate relief. See How My Mom Stops her Esophageal Spasm ( Esophagus Spasms ) Pain Immediately and Every time, the Natural Way. No medicine, no vitamins, no special foods. Simple Relief, Instantly. Do you think you maybe suffering from Esophageal Spasms? Please share this tip with your doctor. They can pass it on to their patients. The Mayo Clinic recommends that you see your doctor if you have any symptoms that concern you. Because one of the possible symptoms of Esophageal Spasm is a Squeezing Pain a symptom that is also related to a Heart Attack so if you are experiencing Squeezing Chest Pain and you are unsure of what is causing your symptom, you need to seek Medical Attention immediately. Causes of Esophageal Spasms: The causes of Esophageal Spasm are not known at this time.A Normal and Healthy Esophagus will coordinate the esophageal muscles to move your food down to your stomach which is referred to as “Peristalsis”. When you are having Esophageal Spasm ( esophagus spasm ), this process is disrupted which makes it more difficult for the lower esophagus muscles to coordinate to move this food along down to your stomach. This is often accompanied by regurgitation of food and liquids and it is more of an intermittent spasm. The Nutcracker Esophageal Spasm is a strong painful spasm in the esophagus. People with this type of Esophagus Spasm are less likely to Regurgitate Liquids and Food. Women tend to get esophagus spasms more frequently Stress and Anxiety can also contribute to Esophagus Spasm Consuming Hot of Cold Foods or Beverages “GERD” Gastroesophageal Reflux Disease Heartburn Above information is From the MayoClinic.com The following is not Medical Advice nor am I a Medical Professional or a Doctor. This is one of my mom’s favorite Tips to Stop Esophageal Spasm ( esophagus spasm ). IMMEDITATELY, she runs, not walks to the nearest Cold or Warm Water (NOT CARBONATED) and she Quickly DRINKS 16 to 20 ounces of Water either WITHOUT taking a breath or taking one little breath if necessary. As quickly as the Esophagus Spasm came on, that is how quick the Esophageal Spasms STOPS, dead in its tracks, IMMEDIATELY. I remember being in the grocery store and my mom went up to the bakery department and asked them for a big glass of water. They were so kind and brought if for her quickly. She asked me to write about this because she has helped so many people who suffer from this painful condition. She used to suffer with this about 2 times a month for about 2 hours each time she had an Esophagus Spasm. Now, she knows to quickly drink the water, all at once without taking a breath is the trick (one little breath if necessary). My mom says she does not notice any difference if the water is cold or warm, just be sure not to drink carbonated water because that is too difficult to swallow quickly. We think the peristaltic action is possibly a massaging effect on the esophagus thus relaxing the muscle. Kind of like rubbing a charlie hoarse. Her doctors did not know the cause or how to cure this condition. She no longer worries about it because she now knows how to stop the pain right away. As I mentioned above, Esophagus Spasms can easily be confused with a heart attack, so please see a doctor if you are experiencing pain that could be confused with a Heart Attack. Esophagus Spasms can also lead to other esophageal problems so you want to nip it in the bud before issues progress too far. My mom has had to have her esophagus dialated a number of times and has difficulty swollowing certain types of food. I remember my grandmother telling us about the pain she was having from the Esophagus Spasms. I hope this Esophageal Spasms Relief will help you or someone you love. My mom is the smartest woman I know and at 83 years young, her inventive and creative mind never stops. Thanks mom for telling people how you got relief from you Esophageal Spasms. CLICK HERE to Visit our Customizable Gifts Shop by Little Linda PindaI am creating New and Fun Customizable Gifts nearly every day. I can make any changes for you on my designs or I can put the designs you see on other Zazzle merchandise. This is the site I am the most passionate about because of the excellent tips for eating healthy and even Losing Weight. I lost 20 Pounds following my Plan. Featuring Personalized Sports Gifts, Photo and Your Text Gift Ideas and so much more. Please BOOKMARK this article on Esophagus Spasms Relief in case you need to tell someone about How to Stop Esophageal Spasms. Please LIKE and BOOKMARK Esophagus Spasms Relief to spread this Esophagus Spasm Relief tip. Lambs Wool Roller Cover is one of Little Linda Pinda’s Favorite Products for Painting Your Home. See Home Painting and Paint Rolling Tips Below along with where to purchase this and other of My Favorite Products for painting your home. The Lambs Wool Natural 9 inch Roller Cover is well worth paying a little extra for home painting. I am one of those who won’t bother to clean my Paint Roller because frankly they are cheaenough that it didn’t seem worth the time while I am so busy painting. By the time you are finally done painting, you sure don’t feel like cleaning your tools, let alone the paint roller cover. Well, I have changed my mind FOREVER. I absolutely LOVE this Natural Lambs Wool Paint Roller Cover.
. I just loved the feel when I started rolling the paint on the wall right away. 2. It holds more paint. 4. Last Longer. It just doesn’t seem to wear out. It stays beautiful, over and over again. 5. Saves money over the long run. 6. Paint covers the wall better. I believe the reason for this is because the roller seems to hold more paint than a synthetic roller. 7. It doesn’t SHED like some Synthetic Paint Roller Covers do. That is HUGE. How awful when you get these big ole clumps of fuzz on your wall. That really bothers me. Choosing the Right Nap. Personally, My favorite is the 1/2 Nap Lambs Wool Paint Roller Cover for Smooth to Semi Smooth Walls. Being a woman, I also felt the 3/4 inch Nap held so much paint, that it became heavy feeling quicker because it holds even more paint and it took a bit more strength to roll the paint. When you are painting for many hours, this is something you want to consider. Just like when you are considering what size Paint brush you choose. The main consideration for the size Nap to choose is the roughness of the wall. You need the paint to soak into the wall for good coverage. Lightly wetten the Natural Lambs Wool Paint roller cover with water. This will help the paint to flow easier and more evenly. Then at an angled motion, roll the remainder of the wall, working in a 4 X 4 foot (or a little more if you work fast) making sure you cover the area evenly with paint and not missing any spots. End with light vertical motion. Be sure you don’t have any thicker lines. I give if a really light up and down roll. I bought mine at Home Depot but you can probably find them at Lowe’s, but call first, because this has been a few years since I purchased these Lambs Wool Paint Roller Covers. You will save time because it holds so much more paint. I first Discovered the Beautiful Country Gospel Music of Susie when her name was Susie Luchsinger. In May 2008, she went through a divorce and changed her name back to Susie McEntire. She told her fans she filed the divorce after withstanding years of abuse. It hurt my heart to have heard she went through such touch times. God has blessed Susie McEntire with an Incredible Voice, much like her Sister Reba. In my humble opinion, I think Susie is just as talented. 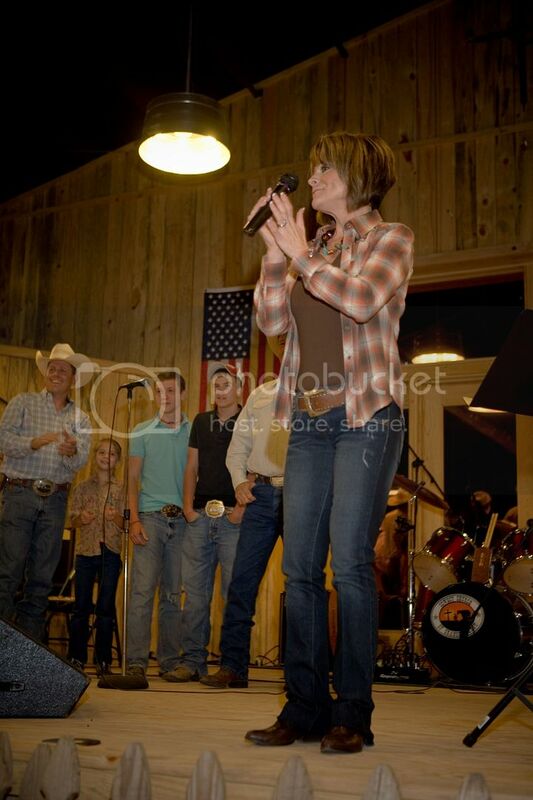 I am writing about Susie McEntire because I wonder how many people have had the awesome experience of either seeing her in a Live Concert, at the Cowboy Church or have listened to her CD’s. Susie is now married to Mark Eaton. You can see her at the Cowboy Church. Having been raised on a ranch in Oklahoma with her sister Reba and Alice and her brother Pake McEntire gave her the country roots for her music. She has been singing her entire life and her excitement for music is infectious and I find it uplifting and exciting as well. When I sing her songs, my heart beats a bit faster and I feel the energy flowing. Sometimes I cry at the Lyrics while other times I feel the intense joy. Susie has won numerous awards and nominations including GMA, CCMA, TNN and has been named “Christian Country Artist of the Year” many times. Susie McEntire has 4 number 1 Singles on the Positive Country Charts. She is more known for her genuine love for people, her dedication to the Lord and her faithfulness continuing to inspire people all over the country. Even someone from Wisconsin when country gospel didn’t even seem all that popular back when I discovered her awesome music. SMOOTHIE RECIPE: Sneaky Spinach Strawberry Mango Smoothhie is SOOOOO Delicious and Healthy. You and your kids will never even taste the 1 Cup of Fresh Leaf Spinach. HUSKY 14 in 1 Paint Scraper Tool is AWESOME! See why this is one of My Favorite Products and Tips. See why this Fabulous Home Remodeling Tool is a MUST HAVE! Having Remodeled and Renovated Homes and Investment Properties for over 30 years now, I have discovered some Incredible Tools that I just LOVE. I feel that if I am going to save so much MONEY by doing the work myself, I am going to splurge and buy great tools to help me get the job done quicker and more efficiently. Well this tool is not a Splurge but WILL help you to get jobs done quicker and easier. Imagine this, such a simple tool is just one of my Many Favorite Products. Why, for as many reasons as it has uses. For many years, the Husky Scaper has been one of my Favorite Products – Tools but this year my mom, showed me another use for this tool that I never even realized. My mom is one of the smartest and most talented people you could ever meet but I’ll talk more about that later. This is a 14 in 1 super Handy tool that I use primarily while preparing for painting but lets look at some of the 14 Functions of this fabulous Little Linda Pinda’s Favorite Products. It is a Paint Can Opener, Chisle Scaper, Scraper,Roller Cleaner, 1/4 inch and 3/8 inch Nut Wrench, Screw Driver, Nail Remover, all in 1 Handy Little Tough Steel Tool. Keep this one Handy, you will Love all the Functions. 1. The first reason this is one of my Favorite Products is because of the pointed sharp end. I can gauge out paint, caulk, gunk etc… with this point. 2. The sharp Scaper with a Chisel Edge. I love the beveled sharp edge to the scaper and the size is right for many jobs. 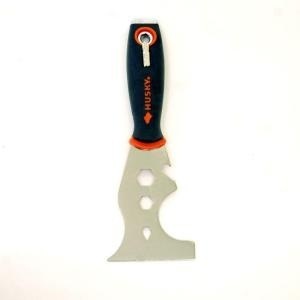 I use it for spackling and scaping off the spackling to flatten and remove the excess. It helps me to remove excess grout, glue, caulk etc………. 3. I has 2 Hexagon shapes to tighten or remove Nuts, 1/4 Inch and 3/8 Inch. I actually never used this feature but it is there. 4. Flat Head and Phillips Screw Driver bit included. How handy is that? 5. Roller Cleaner. Now this is the feature my Mom taught me about on our last home renovation. Look at the curved edge. You just run this tool from the top of the paint roller to the bottom. Remove excess paint first and then proceed to wash out the roller with warm soap and water continuing to use the tool to remove paint and the soapy water until water runs clear. I then remove as much water from the paint roller as possible, shake the roller and set up to dry. This will save you Money because a job I wouldn’t do anymore, cleaning my paint rollers, I now will clean them because of this tool. Also, I now treat myself to Natural Lambs Wool Paint Rollers, Awesome. I will write an article on this product later. Where to Purchase: I purchased mine at my Local Home Depot in the Paint Department. I will continue to try to find it online to make it easier for you to order. Nine Tips to Kids Healthy Eating including my Sneaky Spinach Tropical Smoothies Recipes. This Sneaky Spinach Strawberry Mango Smoothie Recipe could be the Start of a whole new Healthier life for you and your family. I can not detect the Spinach in this smoothie AT ALL. I have a really great tester tongue too for flavors. I am able to create really great recipes from restaurants because I am able to detect various ingredients and then recreate the recipe at home and my family loves it. My husband was the very first to taste this he he couldn’t taste the spinach either. Wow. To get your children to start eating FRESH SPINACH and love it. Next they will be dipping the Spinach Leaves in my Honey Flax Seed Recipe too. Let them help you make the dressing too. I use either my NutriBullet Blender for Smoothies or my larger Vitamix Blender when I make a smoothie for my husband and I. For single serving recipes, the NutriBullet is more than big enough and is a bit more convenient to use but there is nothing like the Power of the Vitamix. I love both and would not want to live without either one. Why are Smoothies so very good for us. Health expert recommend that we eat 9 to 10 servings of Fruits and Vegetables per day. Remember when the Government used to recommend 4 to 5 Servings of Fruits and Vegetables per day. Do most people even eat that. Smoothies are a Fantastic way to Easily get 2 to 3 servings or Fruit and now with my Newest Smoothie Recipes, you can even get some Deep Green Vegetables in your Smoothie without even tasting it. REALLY. It is soooooo Good. Smoothies are one of my personal Top Favorite ways to Stop Constipation because they are FAST, EASY and Easy to Eat/Dring on the Run. When I eat Fruit, it seems to ward off Constipation better than even Vegetables, for me, but I do definitely recommend eating vegetables. You Veggies for your general health and to stop constipation. Vegetables are a great source for energy too. I also like Smoothies because you can HIDE so many Healthy ingredients. I often used Green Powder with Chlorophyll which helps with Energy and Feeling better but they often make my Smoothies taste yucky. I am about to try a new product that I will tell you about after I tested it for you. It sounds really exciting. I will announce it soon. 2. Make it together. Let them dump the ingredients into the Blender. 3. Have a Smoothie Party – Invite a couple of their Friends to make it with them. Have FUN!!! 5. After they LOVE Smoothies, then start experimenting by SLOWLY adding in some hidden Healthy Ingredients. They will Slowly acquire a taste and not even realize you are adding those ingredients such as Flax seed, Spinach, Fiber, Protein or Green Powders. 6. When you first put in the Healthy ingredients, use small amounts without the children seeing. Let them taste. Get them pumped up about being PROUD to be eating healthy. Then make it fun to put a tiny bit of Spinach or fiber in the smoothies and work you way up. Have them brag to their friends on the healthy smoothies they make and eat. 7. Put toppings they like on veggies. I started eating Broccoli and Cauliflower with Cheese sauce. Eventually I loved it plain. 8. Most IMPORTANT – Make sure they are really Hungry when you are giving them something they will not necessary like. CLICK HERE for Information on Juice Plus. This is the very Best Smoothie Powder I’ve ever found in over Ten Years of Searching. You will love it. I am now a distributor for Juice Plus. As a customer, you can receive my latest Smoothie Recipes. Just Email [email protected], Subject Line Juice Plus Recipes. – I like Brazil Gourmet 100% Juice- Powerful flavor helps cover-up flavor healthy additions. Especially just to start, I highly recommend this Mango Juice because the Flavor is so powerful that it is really easy to hide the Spinach and Flax Seed in. It is 100% Juice too. Below is a link for the Handy 15 little 11.16 ounce to go Cartons. Easy to toss into lunch bag or take in the car. You can also buy it larger and smaller container sizes. Little Linda Pinda Recommends these Products to Help Make Smoothies Tasty, Fun and Healthier. Update: I just want to reply to someone who is at odds with my Sneaky Spinach Smoothie and I understand why and partially agree with her. She told me that she does not HIDE healthy ingredients into her children’s foods because she wants them to learn to eat and acquire a taste for these healthy foods. I don’t always want to eat Spinach even though many times a week I eat a Big Plate of Salad with Spinach as the Leafy Green. AND, if this is the only way at first to get your child to eat healthy, then I am all for it as long as you work toward the goal of getting your kids to eat healthy by developing a taste for the vegetables or fruits they don’t like. One of the ways I got to LOVE Broccoli and Cauliflower was my Aunt Baking it in Cheese Sauce. Sure, this isn’t as healthy as eating it raw or steamed but if in the long run, I now eat these vegetables several time per week, I think that is OK. So yes, please do serve your kids healthy food individually. My mom is a strong advocate for this and AGAINST baby foods that are combinations. She has always believed in serving the individual ingredients in baby foods, not mixtures. Sneaky Spinach Strawberry Mango Recipe is so Delicious and Healthy too. Your Kids will LOVE it. SNEAKY SPINACH STRAWBERRY MANGO SMOOTHIE RECIPE that your KIDS will LOVE. I just created this Recipe today and tried out on my Husband. He never used to eat Healthy. I have worked on him for years and SLOWLY got him to actually ENJOY and ASK for Healthy food now. He really liked this Smoothie and did not even taste the Spinach even knowing that it was there. I give you tips to get your kids to enjoy drinking this smoothie and helping you make it and even bragging to their friends how they like to eat healthy. It is a slow process for the really picky eaters but they won’t even know Spinach, Fiber and Flax Seed are Hidden in this Recipe. It is SOOOOOO Delicious. Click here for this Recipe. I hope it will Change your life and your families Health. Wusthof Knives are on Little Linda Pinda’s Favorite Products List because they are absolutely AWESOME. Read the many 5 STAR Reviews by clicking on the Links below. You will see why they are on My Favorite Products list. are the BEST KNIVES I have ever owned or even tried. Because I am into Healthy Cooking and prepare a lot of Fresh Vegetabes and Fruits, a couple of years ago I finally got my first Wusthof Knife for Christmas. Actually, my husband thought he was doing the right thing by buying me a WHOLE set of less expensive knives. Afterall he must have thought why buy one knife when you can get a whole set of 6 knives for less money. I took the set back and proceeded on my adventure to find a Great knife. You can buy more expensive knives than the Wusthof but after using this knife, I can’t image why you need a more expensive knife. I splurged and bought the paring knife within a couple of months. It cuts so smoothly and easily. In my twenties, I bought Chicago Cutlery and thought this was great but I just couldn’t ever get them sharp enough. It seemed as though I was always sharpening those knives. I would almost cut myself using the dull cheap knives provided at the condo. I found myself not cooking as much and even having my husband do some cutting that I normally would do myself because I felt so clutsy with those cheaper knives. They looked good but boy were they crummy. I can’t speak highly enough about these knives. This particular Wusthof Knife’s Handle was a bit more expensive but the curviture in my hand fit so nicely. I think this is very important especially if you are cutting a lot. It slips through meat incredibly and cuts right through Fruits and Vegetables. I also like the fact that the blade has the indentations so food doesn’t stick to it much. together but I started out with only one to see how I liked it. I do use the 7 inch knife a lot more than the paring knife anyways. If you don’t do a lot of cutting, go for the less expensive handle because you are still getting the great blade which is the most important part of the knife. This size handle fits a womans hand nicely. If you have large hands, you may wish to purchase the 7 inch blade instead. I love the Contour of this Handle and the Balance of the Weight of this Wusthof Handle. The Retail Price on this Knife is $165.00 and as of today’s date, you can buy it for only $89.95. I say only because it is a 45% Savings off of retail and $30.00 less than I paid. I know this is expensive, but if it helps you to eat healthier, it is worth every penny. Look below and I will provide you with more Wusthoff knife choices and the sharpener as well. I do recommend washing this by hand so the blade does not get knocked around by the other flatware and I did buy the inexpensive knife protector shown below along with the sharpener. ALL reviews on this Wusthof Knife are 5’s and are verified buyers. after researching about the different tiers of models and their craftmanship. The Classic Ikon line I would consider Wusthof’s middle-of-the pack line of knives. Before I did my research, I have already purchased a set of Gourmet line knives (entry level). Let me tell you, The quality between the two lines is like night and day. The balance, quality and ergonomic on the Classic Ikon santoku is amazing. Very light weight and cuts up vegetables and boneless meats with ease. I am a lefty in a world of righties, so this fits well on either hand. This fact (along with pricing) is a reason why Shun knives with their cool Demascus blade out of the equation: because of their special “D” handles makes them -handed specific…but I digress. I am an amateur when it comes to cutlery and cooking, but when friends and family come over and help prepare the meal, I always get the “woah!” expression when they use this knife. It also helps that I have my set on a magnetic rack on the wall to showcase them. My sister was so impressed that I instantly knew what to get her for Christmas. Keep in mind that when you do need to sharpen this knife, to do it with an Asian knife sharpener. It has a sharper angle than other knives like the Chef’s knife. I believe it’s 15 degrees for Asian knives like the santoku versus 20 degrees on the others like the Chef’s. From an amateur’s perspective, this is the best knife I have ever used (except for the all-mighty butter knife!). I will also begin sharing the EASY and SIMPLE to understand tips to Learn how to Learn to Make Money Online. I share the Extreme frustration with thousands of people who desire to make money online but don’t know WHO to TRUST, HOW MUCH to PAY etc…. Please Bookmark this site http://LittleLindaPinda.com to keep coming back for NEW Tips to Learn how to make money online. How do you even get started in your new venture to making money online. I am going to share with you ideas and tips in where to start, what products would be helpful to a Newbie and hopefully SAVE you a lot of money. I have found it so frustrating trying to find the places that will simply teach you how to start making money online. I found most to be TOO EXPENSIVE and COMPLICATED. As this is a new site, I will be bringing you ideas and products that are My Favorite Products and Tips and hopefully you won’t waste as much money as I did on Over priced and over hyped sales people and motivational speakers, not teacher, types. Please bookmark http://LittleLindaPinda.com to keep coming back for tips. 1. I started out on this venture to make some on-line income. I was not looking to making thousands or millions of dollars per month as some Guru’s tell you they will do for you. I just wanted to learn how to make money online to supplement our income and grow a retirement income. As evident above, I Advertise with “Google Adsense”. Google in itself is amazing. So far Google Adsense is my number one income. (UPDATE: I went in a whole different direction because I wasn’t making enough with Adsense for the time spent). It is a little income but not sure if it is worth the space on my blogs. 2. I feel like a have SOOOOOO Much really helpful information to share because of my years of Research and Experience. I went through Health Issues and searched and searched for answers, thus the start of http://www.StopConstipation.Net. Sounds like that is all it is about but it REALLY turned out to be a site about general health. I think my prior nursing experience and interest in Health has given me some of the tools for this site. I actually started eating Whole Wheat Bread around 5 years old. My gramma, DEE DEE, served this to me and thus I served it to my kids. Also, I found the web Reviews sooooooo very helpful when searching for products and even places to move to. I found forums where people were honest and there to just help. When I would visit a city in another state, I felt as though I already knew the area and there were no big surprises for me. Reading reviews on one of Little Linda Pinda’s Favorite products, OLAY, led me to start http://www.OilofOlayRegeneristReviews.com Just from the research I did to prepare and launch this site, I found fabulous products to review and reading Olay’s customers reviews, helped me save a bunch of money to find the right product for me. I was trained and sold Skin Care Products, so this background was helpful too. I started a few businesses that were making money in the very first year, even after all deductions were accounted for. I understand it takes 4 to 5 years to actually be in the black in a business. I started my first business at 29 years old. Real Estate Success. In my first Fiscal year in Real Estate, I became the number one agent at my National company and made a six figure income. How did I do this. By being completely Honest with my Clients/Customers, by working harder than most agents, by going above and beyond, Aggressive Marketing and last but not least, Staging their Homes for FREE. I felt they were paying me a lot of money to sell their home, I can put a lot of time and money into selling there home. Please come to visit and Bookmark into your Favorites as it is so new and I will keep building and adding information for you to glean. I will keep you updated not only on Great Products but also on how my blogging to make money is going. So many people are trying to break into this business and it is harder than what people trying to sell their products will tell you. Also, I will give you hints that really helped me from a newbie point of view to hopefully save you from spending thousands of dollars with Gurus who give you a bunch of unrealistic hype just to make money. I will give you my honest view on blogging and the internet business along with easier tips to follow. So much of the advice on the internet was and still is over my head. I needed a full explanation. I am so excited about starting this new Site with Little Linda Pinda’s Favorite Products because I know you will appreciate the searching and running around that I did to find these great products. My customers often take my advice because of the trust I built up with them by being competely honest with them. I promise to let you know what I really think and won’t just try to sell you something that I don’t believe in and love myself. I hope to save you time and money by doing this and I do hope you will also purchase the items you love through my links to help me afford to keep bringing you these reviews and tips. I only make a tiny percentage and the best thing is, you don’t pay any more for the item by going through my links. Thank you so much for your business. God Bless your new adventures in Life and Put your Customers First to Make your Business First. How do I Learn to Make Money Online in SIMPLE and EASY to Understand Terms. How do you even get started in your new venture to making money online. I am going to share with you ideas and tips in where to start, what products would be helpful to a Newbie and hopefully SAVE you a lot of money.